Look at belly and ultrasound pictures from week 13+0 to 13+6. 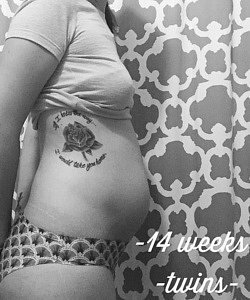 Read about what symptoms to expect and how your babies are developing when you're 14 weeks pregnant with twins. 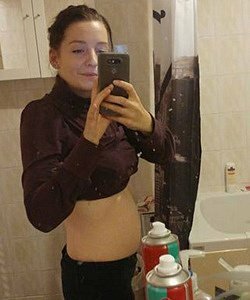 When you’re 14 weeks pregnant with twins your in the second trimester of your twin pregnancy. Over the next few weeks, your children’s bodies will develop rapidly. Soon their bodies will be twice the length of what they are now. Arms and legs will grow longer as well. 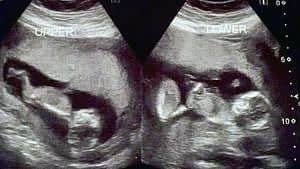 Not all women have the same pregnancy symptoms at 14 weeks pregnant with twins. 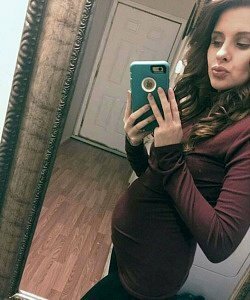 Some haven’t been sick at all, but many women suffering from morning sickness with feel better at this point in their pregnancy. 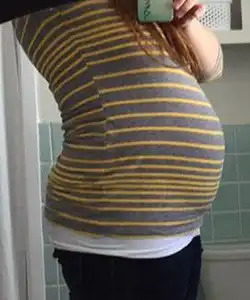 However, women suffering from hyperemesis gravidarum – excessive morning sickness – will usually still feel sick at 14 weeks pregnant with twins. Your uterus is about the size of a grapefruit. You can feel it in your lower abdomen. You may begin to bond with your children. However, this is very individual. 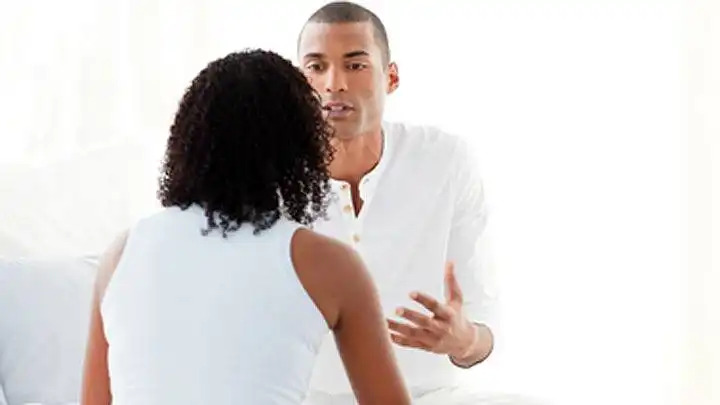 Some women cannot relate to their babies until they’re born, whereas others form an instant emotional connection as soon as they find out that they’re pregnant. Your dreams may be more vivid due to the physical and emotional changes you’re going through. Remember to express your thoughts or feelings to someone close to you – also the negative ones. Although it doesn’t always seem completely legitimate, negative feelings and thoughts are common, and can be important to articulate. Your babies are approximately 8,5 cm (3.35 inches) from head to rump. They can drink and urinate. This is due to the fact that their kidneys, urinary tracts and bladders are now developed. 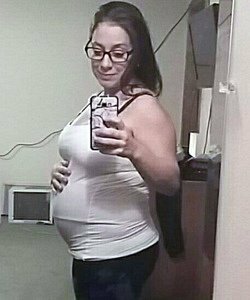 It’s not a problem that they urinate in the amniotic fluid and drink it. The urine inside your womb is clean. Your babies hands can grasp at this point and their legs kick, but you won’t feel it yet. Many women experience the first signs of life between week 16 and week 22. It depends on whether or not it’s the first time you’re pregnant. Women who’ve been pregnant before – and reached second trimester – often feel life sooner. It also depends very much on where and how your placenta(s) is located. You’ll feel life earlier, if the placenta(s) is lying on the back wall of the uterus – towards your spine. If your placenta(s) is on the front wall of your womb, next to your belly, it may cushion the movements of your babies. You may also feel fewer movements in your second trimester if your placenta is on the front wall of your womb. This is called an anterior placenta. When you’re between 11 and 13+6 weeks pregnant you should have your dating scan. This means that if you haven’t had your dating scan already, you should have it during this week of pregnancy. 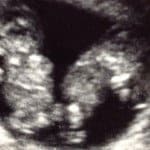 If this is the first time twins are detected, you need to make sure that your sonographer does a chorionicity scan as well. 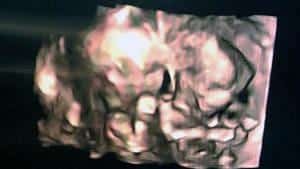 This type of ultrasound scan is done to determine whether or not your twins share a placenta. 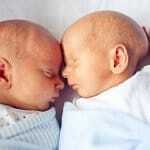 Twins who share a placenta are more at risk of complications during pregnancy and birth. 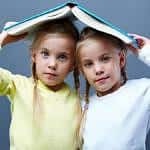 Twins who share a placenta can only be identical. Fraternal twins always have separate placentas. Remember to take iron supplements if your doctor or midwife recommends it. Drink plenty of water. It’s a good thing to keep active doing whatever you like – go for brisk walks, visit the gym or go for a swim. Just don’t participate in any sports where you are at risk of falling an hurting your belly – this could be soccer, football, skating or horseback riding.